Can use with: Neocare should not be used with any other supplement, unless advised by a veterinarian. 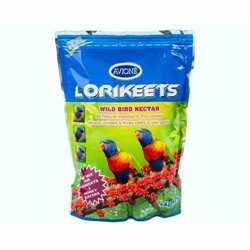 Neocare is a veterinary balanced food, mixing other foods or supplements will dilute the nutrition and unbalance a young birds diet. If hand feeding from hatching, an electrolyte formula should be fed for the first 24+ hrs or until the bird passes its first dropping. Neocare is then fed at a runny consistency and thickened over a period of days.